"Never stop learning. Talk to your professors; they have unique perspectives and are truly kind people. Take advantage of their knowledge, both inside and outside the classroom." "Initially, Miami was not on my radar, but my sister was attending Miami at the time and enjoying her experience immensely. Before long, I was drawn to the strong focus on undergraduate education and the close proximity to home. I really appreciated the intentionality of undergraduate teaching. 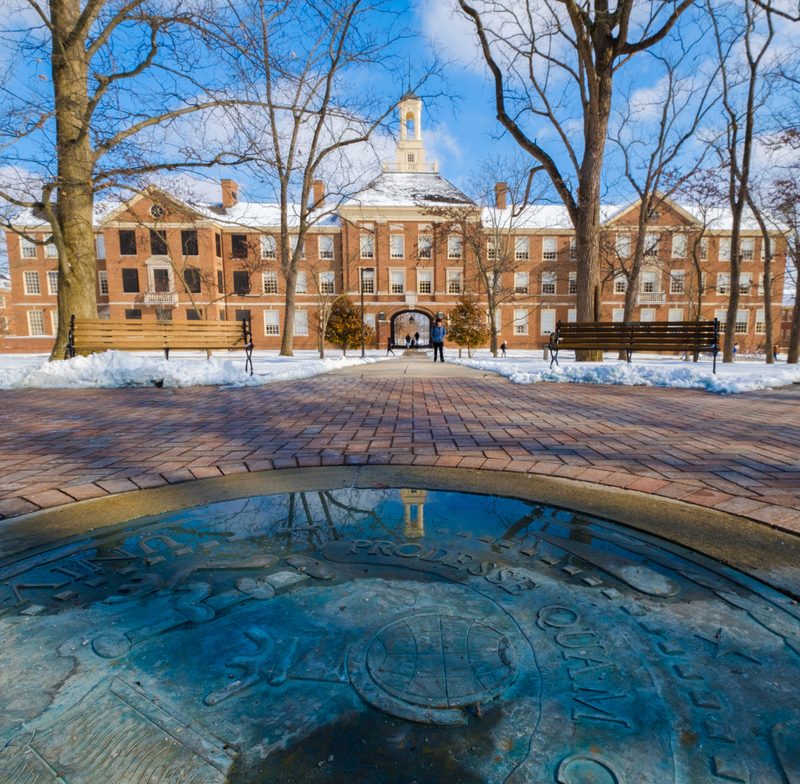 I had heard many great things about Miami professors and their attention to students, and I have certainly found that to be true in my experience. "I also had a keen interest in history and foreign language, shaped by many inspiring teachers throughout my life. In high school I took my first international relations class. It was the spring of 2015, during the expansion of ISIS, and my teacher put a map of Iraq and Syria on the board and proceeded to talk about each stronghold of power, city by city. It was gripping to learn more about the nature of the conflict, and I realized that I wanted to keep studying and hopefully work in foreign policy in the future. "Later that fall, I arrived at Miami, feeling both overwhelmed and excited about starting my new academic career. Early on, I loved my fall semester coursework: Global Politics, World History Since 1945, and Intro to International Studies. This was a confirmation that I had chosen the right major. From that point forward, I was ready to dive into my newfound passion. Each semester brought new topics of conversation to the classroom as the world is constantly moving and changing. As political science professor Patrick Haney often says, 'It's always an interesting time to be studying American foreign policy!'" 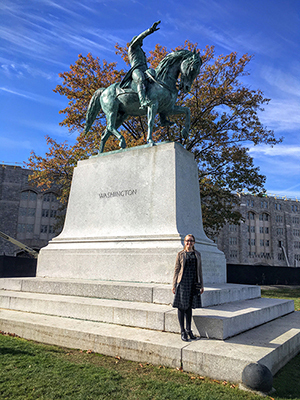 Emily Tatum poses in front of a statue of George Washingon during the SCUSA conference at West Point. 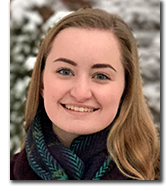 "Since last year I have been a part of the Scholar Leader Community, a group of like-minded students who love learning and discussing what they are learning. These students are the up-and-coming leaders of society, and I feel honored to be associated with them. We work to become better leaders and then strive to apply those skills to better the Miami community. I am constantly learning and growing through that community. "Thanks to the support of the Department of Political Science, I had the opportunity to attend the Student Conference on US Affairs (SCUSA), a foreign policy student conference at West Point. The day after last year's presidential election, I left on a plane for New York to discuss the future of foreign policy. It was a fascinating time that I will always remember, discussing American foreign policy with cadets and civilian students together. "I've had a number of great Miami professors who have challenged me and given me continued support and guidance. It is a joy to have professors who are curious and love learning themselves as they make for great mentors. "First is Dr. Charles Stevens, a senior lecturer in international studies, who I had during my first semester at Miami. I remember expressing to him my interest in becoming a major and working in foreign policy in the future. He told me I'd need to work incredibly hard and always be striving towards my goals, and his advice and encouragement has been integral to my Miami experience. Dr. Stevens has continuously challenged me and pushed me every step of the way, always expecting my best as I keep learning. "Next is Dr. Zeb Baker, the senior associate director in the University Honors Program. Dr. Baker has served as a life coach and mentor for me since the beginning of my time at Miami. He has graciously encouraged me and always been very giving of his time. It's people like him that make you understand why Miami is ranked so highly in undergraduate education! "At last is Dr. Patrick Haney, the former chair of political science and now an associate dean in CAS. Dr. Haney has believed in me from the beginning, pointing me towards countless opportunities for my major and career. Even before I had him as a professor, he took the time to welcome me into the department. I'm always eager to pick his brain about current events and foreign policy, often sending articles his way to hear his opinions." "I am a strong advocate and proponent of the liberal arts, which allow for a wonderful overlap of fields that put you in touch with people and concepts that you might not otherwise have experienced. "My two majors, international studies and political science, complement each other in this way. International studies broadens my perspective as I gain valuable insights into how the world works and differences among governments. Political science pushes me to delve into researching the hard questions beyond my own opinions both in domestic and foreign policy. "Both majors have blessed me with excellent professors and classmates as well who enrich my study. However, every class that I've taken at Miami, both within and outside of my majors, has shaped and challenged me. "One notable example is Physics & Society (PHY 101), which I took last spring with Dr. Christopher Beer. It gave me a strong preliminary foundation in the sciences that will help my desire to work in public policy and foreign affairs. That class led to many fascinating conversations with Dr. Beer about NASA funding and the evolution of space policy. Dr. Beer encouraged me throughout the class and emphasized to me the importance of understanding science as an integral part of public and foreign policy. "Another course is Spanish for Community Work (SPN 331), taught by Ms. Katie Fowler-Córdova, which allowed me to develop my Spanish language skills and interact with members of the Latino community in Butler County. I worked at a Spanish-speaking church in West Chester with people who had recently received citizenship and were learning about the logistics of voting for the presidential election. This incredible experience allowed my interests in Spanish and politics to come together and gave me a newfound appreciation for our freedom and right to vote. Dr. Monica Schneider taught my Gender and Politics (POL 348) course, which pushed the bounds of my conceptions of gender imbalances in government and politics. Every day I came to class not knowing what to expect other than a great roundtable conversation. Dr. Schneider encouraged me to attend NEW Leadership Ohio the following summer, a program which encourages and prepares young women to run for office. I felt excited and encouraged by the efforts of young women in politics and felt affirmed in my ability to enact change in the future." 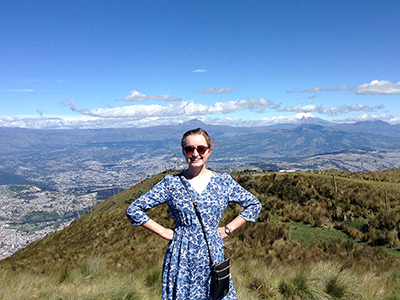 "Through Miami I've had 3 different study experiences overseas: first in Wales, then in Cuba, and now in Ecuador. All of these experiences have had a tremendous influence on my future plans. My studies are based on the nature of the international system and relations between states, and thus I have found it vital to get out of the US to deepen my understanding while in other countries. 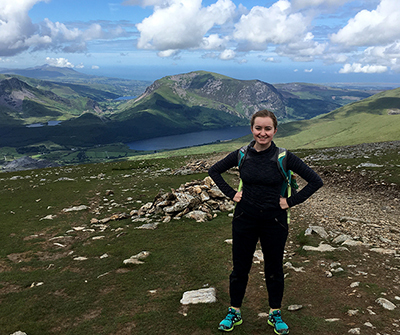 "First, with the help of Zeb Baker and the Miami University Honors Program, I applied and was accepted to the Summer Institute to Wales program, offered by the US-UK Fulbright Commission. [Read the May 2016 Miami press release Record-setting year for Miami's Fulbright English Teaching Assistantship grant.] I ended up leaving the day after the UK's Brexit vote! 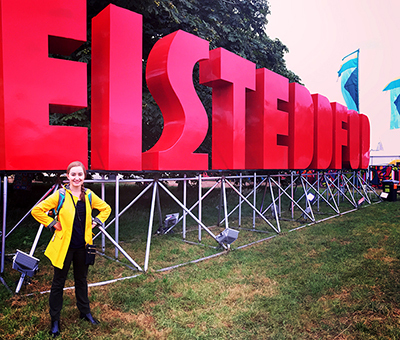 My following 6 weeks with the institute, where I studied at universities in Cardiff, Bangor, and Aberystwyth, served as an incredible case study for Brexit, UK-Welsh relations, and British history. This fantastic opportunity from the Fulbright Commission was exactly what I was looking to do after freshman year to continue the momentum of my foreign affairs studies, and the timing was unforgettable as well. "Then, during January 2017, I participated in the Cuba in Transition program, sponsored by the Department of Global and Intercultural Studies. It was led by international studies professor Dr. Melanie Ziegler and Latin American studies professor Dr. Walt Vanderbush. Cuba is a fascinating place, and I learned about how US-Cuban relations have evolved over the decades. To cap off the trip, President Obama (as one of his final acts in office) changed the "wet-foot dry-foot" policy to normalize immigration while we were in Havana — incredible timing, once again! In that moment our program became a research study, giving us the opportunity to talk to Cubans about their opinions about the policy change. "I'm currently living in Quito, Ecuador, where I interned with the State Department at the U.S. Embassy in Quito this past summer. At the Embassy, I served as a public affairs intern and had the opportunity to work on many cultural events and educational exchanges. It was a fascinating experience, shaping not only my views of the Foreign Service but also of US foreign policy in general. One major highlight was celebrating the 4th of July in Ecuador at a formal embassy event, overlooking the beautiful city of Quito. "I'll be in Quito until December 2017, because my State Department internship extended into a study abroad experience at Universidad San Francisco de Quito for the fall semester. I am enjoying this opportunity to immerse myself as a student, culturally and linguistically, taking classes with Ecuadorian students and living with a host family. Throughout my time in Ecuador, I have felt challenged and inspired through my studies, the country, and the people. "Overall, I am very thankful for these opportunities, as they have enriched and deepened my studies at Miami!" "Never stop learning. Talk to your professors; they have unique perspectives and are truly kind people. Take advantage of their knowledge, both inside and outside the classroom. My love of the wide range of events and lectures on campus also pairs well with food, because there's often a variety of food available! I am part of the Miami Culinary Association, where we learn from Miami chefs and create a meal from a different country every week. Food has often given me a great way to start a conversation with someone new, like a professor or a classmate. Don't be afraid to do so — you never know what you may learn from the conversation and the relationships you can build from it! "On campus I love having my bike around to feel the crisp autumn breeze and make the commute between classes a hair faster. I love reading The New York Times, which is free online and in print for Miami students. Reading a paper copy and drinking a pot of hot black tea is my favorite way to spend a free morning at Miami. "Ultimately, study what challenges your brain and makes your heart beat faster. Loving what you are studying will make you love going to class. Every day challenges and pushes me. If your field falls anywhere under CAS, just go for it — you're definitely going to meet many wonderful people along the way!"